The BubbleGen is a twin jet hydroponic bubble generator with integral silencer which efficiently and quietly oxygenates and circulates a nutrient tank. BubbleGen uses atmospheric pressure to pull oxygen rich air through the input port and mixes it with the nutrients passing through the body of the unit, ejecting an energetic circulating stream of nutrient and bubbles without the need for a noisy compressor air pump. 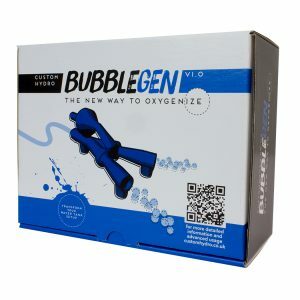 The BubbleGen completely replaces the need for a circulation pump, air pump and air stones. 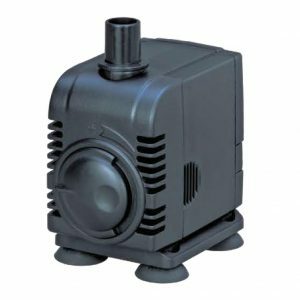 If you are currently using a nutrient chiller a single pump can be used to drive the BubbleGen. 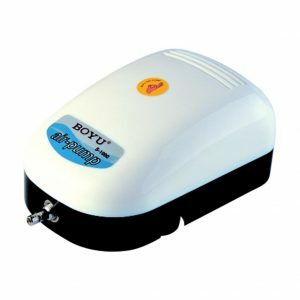 Removes the need for air stones that can clog and promote bacteria and algae. 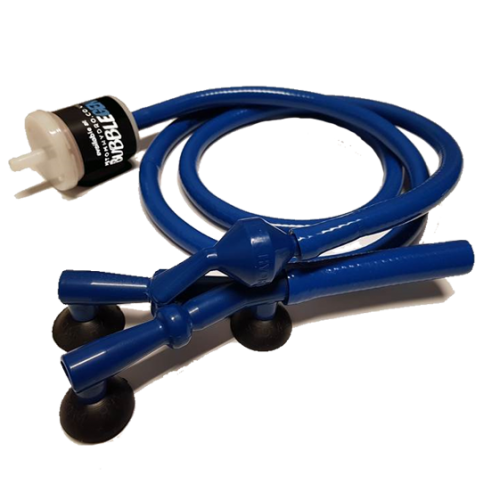 Removes the need for additional tank circulation jets or pumps. Quiet operation – only uses water pump to drive the system. Works on vacuum rather than positive pressure so does not add additional heat to the solution. Air can be pulled from wherever required with additional hose (1.5m air hose supplied). Saves cost and energy compared with air pumps, circulation pumps and air stones. Supplied with three suction cups to secure mount to bottom of tank. 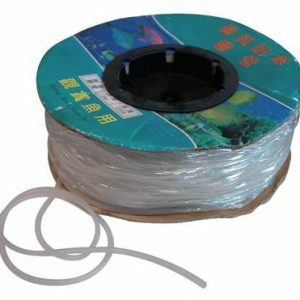 Simple installation with only two connecting tubes.